If you have a project that will require concrete, you must get a correct estimate in advance of how much you'll need--you really do not want to run out of concrete after you have started pouring. 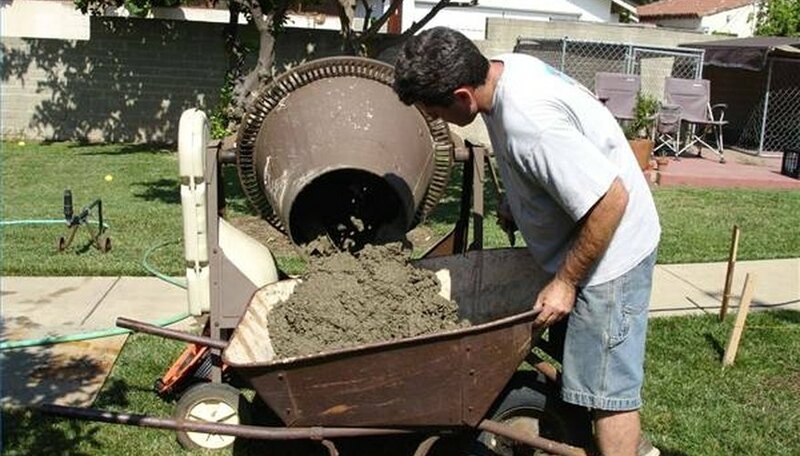 Concrete is ordered in cubic yards rather than cubic feet, so you must convert the numbers before you place your order. Read on to find out how to take the proper measurements and how to convert your result into cubic yards. Measure the length, width and depth in feet of the area to be filled with concrete. Multiply the length by the width and the depth. For example, 20 feet long by 12 feet wide by .5 feet thick equals 120 cubic feet. Divide the answer by 27 to convert into cubic yards. Using the above example, 120 divided by 27 equals 4.44 cubic yards. Increase the total by 5 percent to ensure that you do not run short. In our example, 4.44 multiplied by 1.05 equals 4.66 cubic yards of concrete. Prepare a place in advance where any leftover concrete may be used if necessary.